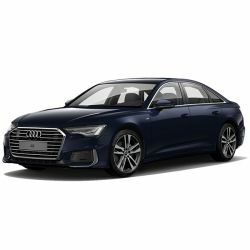 The all-new A6 range was launched in mid-2018 and offers a luxurious cruiser with a host of premium features. An executive styled vehicle, the A6 comes as a Saloon and Avant, including the powerful S and RS models, and offers a little more off-road adventure in the rugged allroad quattro model. The 4-door Saloon with MMI Navigation with dual touchscreens, LED front and rear lights and rear-view camera. Intuitive and advanced, the A6 Saloon has an array of Audi technology to enhance your driving experience. With a refined cabin, intelligent technology and added luggage space, luxury has never felt so progressive. The 5-door Estate with MMI Navigation with dual touchscreens, LED front and rear lights, rear-view camera and power-operated tailgate. The A6 allroad quattro is now subject to availability. With higher ground clearance and protective panelling, the A6 allroad is designed for all roads, including those less travelled.